A person's attention inevitably drops after 20 minutes. During an intervention that lasts more than 20 minutes, the objective is, through an animation (video, story, poll...), to break the rhythm of the session in order to regain the audience's attention. The attention span of a learner in a training session is approximately 20 minutes. The objective of this pedagogical method is to break the rhythm of the session in order to keep the listeners in a dynamic. This allows them to be in better conditions of attention and interaction with the trainer. Through this method the speaker creates a dynamic (of attention and/or participation) with his audience. This allows him not to lock himself into a routine by always running his session the same way. This activity responds to a desire to evolve, in the way one brings one's interventions as well as in the interactions with one's audience. He responds to a desire to test variations in his sessions and observe the effects on students (approval, laughter, sharing). This method is essentially intended for classical lectures. The method can be applied in groups of more than 100 people as with 10 individuals. The equipment and logistics to be provided depend on the animation proposed. In the case of a projected video, make sure that the projection and audio equipment works correctly and that the transition with the projection does not generate too much downtime. In the case of a survey submitted to the audience, take into account the time for reflection and debate it will generate. It is interesting to build up a "library of stories" that can be brought out in training depending on the context. It is necessary to prepare the different interventions as well as the way to integrate them in the session. 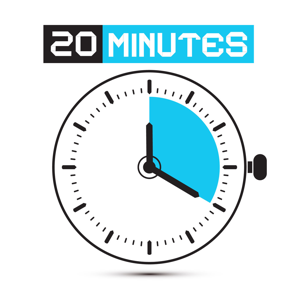 Once the session has started, the goal is to maintain audience momentum by inserting 2-3 minute animations every 20 minutes. Their duration can be very variable but must "wake up" the audience by breaking the rhythm of the session. The observation of the group during and after the animation gives a first idea of the effect produced. It is possible at the end of all the training sessions to organise a time with the learners to discuss the impact this method has had on them. There are as many variants to develop as there are types and materials of training. The trainer can act individually by telling a story, an anecdote. He can involve his audience through a survey submitted to the listeners, a question, the analysis of a document. Thus the creation of a time of autonomy (generally in pairs or in groups) then of a pooling with the collective makes it possible to vary the rhythm. An interesting point is that the younger generations have a certain facility to pass from one support to another (paper, computer, video...), which makes it possible to create rhythm with little inertia. The difficulty of this animation is to find something that breaks the rhythm but does not repeat itself. The art is to find the right activity (story, survey, video, etc.) at the right time and in relation to certain courses. However, it is not easy to come up with ideas for some courses. When animations require specific equipment, ensure that it is prepared so that the transition does not cause downtime and that it functions correctly (otherwise it may have the opposite effect to that expected). When interacting through anecdotes or stories, take into account the different sensitivities (especially cultural) present in the audience so as not to offend them. Likewise, taking on individuals can be stimulating if done well but can also be poorly experienced. To be conducted preferably with a well identified or familiar audience. In the case of proposed reflections, avoid asking the whole audience a question while waiting for an answer. This exposes people and slows them down in their expression while a reflection by pairs or groups will facilitate the speaking (because assumed by more people). For the example of the survey, avoid proposing dichotomous answers ("agree/disagree") but rather propose orders of magnitude in order to favour the quantitative. To have other animations in reserve in order to be able to rebound or to continue with the continuation of the session. It is also important to keep in mind that a flop is not serious and does not question your qualities as a trainer.